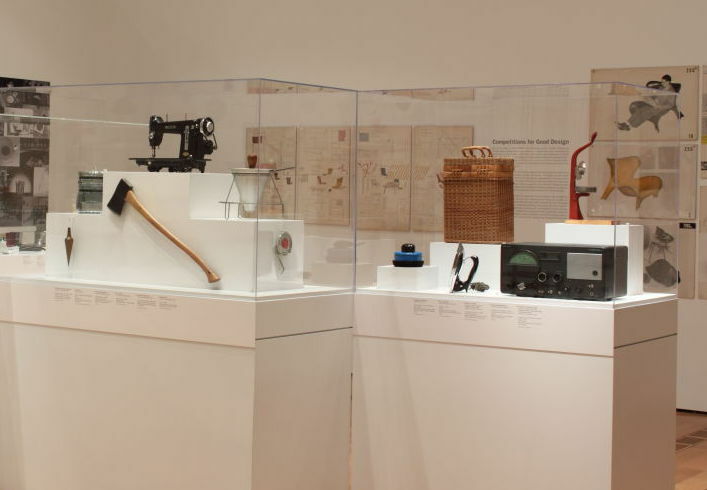 Form And Function Meet In 'Modern By Design' You might not expect to find an axe or a spatula in a museum, but those are just a few of the items on display at The High Museum in Atlanta. 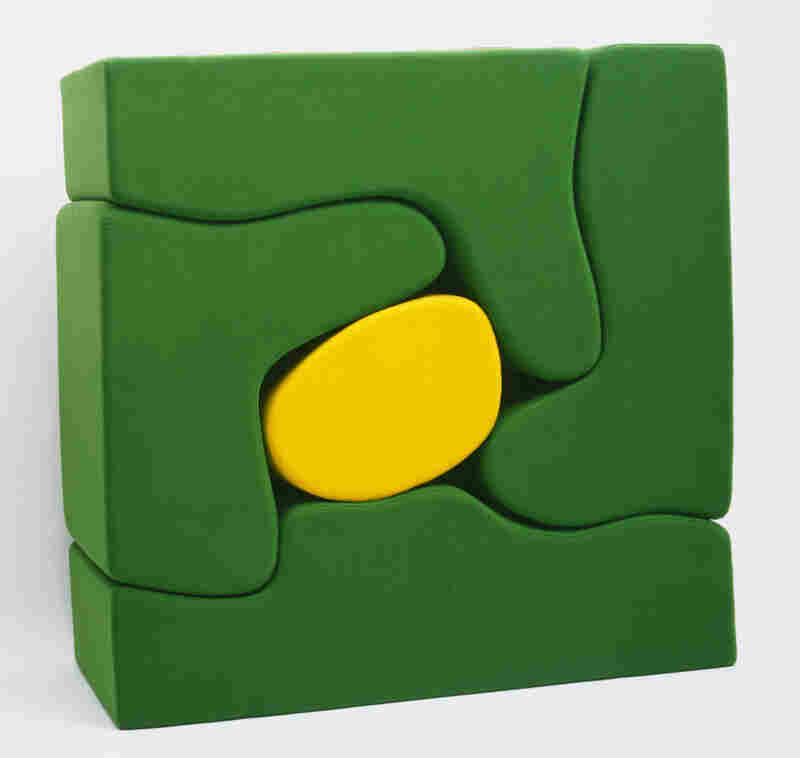 The Modern by Design exhibit features everyday objects that are beautiful in their simplicity. Art museums are, for the most part, full of paintings and sculptures you might love to own — a Renoir for the living room, that Rodin for the backyard — but never could afford. In Atlanta, The High Museum of Art is showing some museum-quality objects that have been affordable over the decades, either as originals or knock-offs. Modern by Design taps ordinary 20th century items which The Museum of Modern Art in New York bought for their permanent collection — and are now lending to the High. Dutch designer Joris Laarman describes Abby the Robot, while "she" uses a digital blueprint to build a side table. 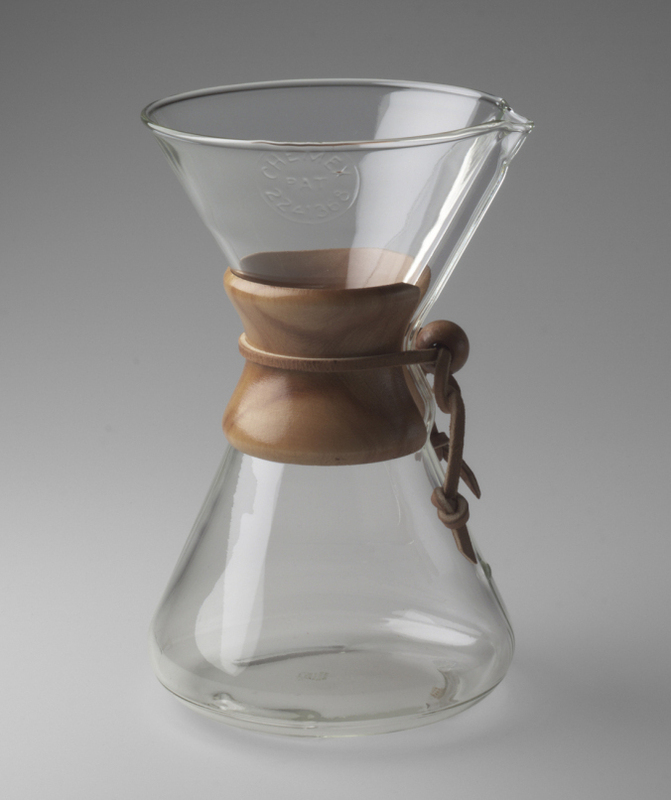 Peter Schlumbohm's 1941 Chemex Coffee Maker, is made of everyday materials: Pyrex glass, wood and leather. All day long, in the lobby of the museum, an adorable little orange robot with a long arm assembles 40,000 metal squares, one on top of another, into the shape of an 18th-century French Rococo-style table. She's quiet, but has a great work ethic. Dutch designer Joris Laarman built her for the Modern by Design show — on commission from the High Museum. Laarman believes that someday, we'll all have such small robots with which to make our own tables or chairs, or whatever else strikes our fancy. That's design in the future. But it's past designs that are at the heart of this show. There's an axe, a sewing machine, the blade of a saw, and a 1941 Chemex Coffee Maker — a large Pyrex glass beaker, with a wooden belt around its tapered middle, and a narrow leather strip tied around the wood. "It's something I lived with and loved," recalls Michael Shapiro, director of the High Museum, remembering a knock-off Chemex Coffee Maker from his student days. "This kind of thing ... had a sense of utilitarian purity, simplicity. [It] made great coffee and it was nothing more than ... a chemistry set. It was just beautiful." But does it have a place in a museum? Does a spatula? Poultry shears? A soup ladle? These are ordinary, everyday objects, but Shapiro says their designs make them special. "Simple, pure, honest, direct craftsmanship is sort of like what Frank Stella said about his paintings in the early 60s: What you see is what you see." Shapiro explains. "This is what it is. This coffee maker is what it is. This axe is what it is. This sieve is what it is. It's nothing more than what it is, but we can make it simple and beautiful." 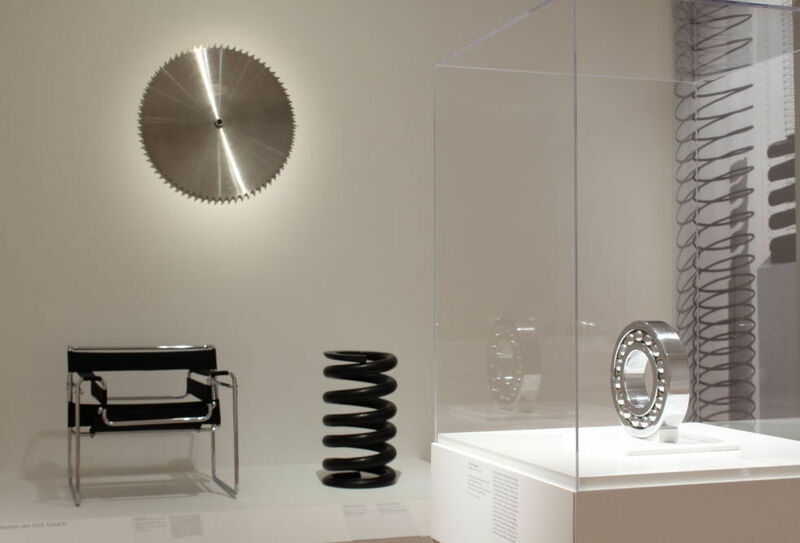 This railroad car spring was featured in MoMA's landmark "Machine Art" exhibition in 1934. 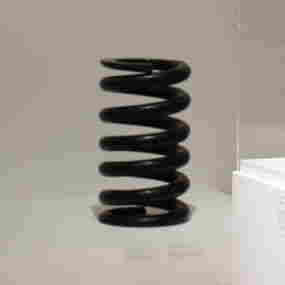 One simple and beautiful design from the first, ground-breaking Museum of Modern Art design show in 1934, is a no-fuss black spring from a railroad car. "It's like a slinky gone mad," says Shapiro. "It's a slinky that went to the gym for two years." Shiny, and very handsome. Also on loan from MoMA's first Modern design show is a gleaming silver sculpture that Shapiro calls "radically simple." The "sculpture" is actually the aluminum propeller of an outboard motor. "It's a fan, really. It's a fan for pushing water," he says. "But when you're tired of the boat, you can just take the propeller off, and mount it ... in your living room." 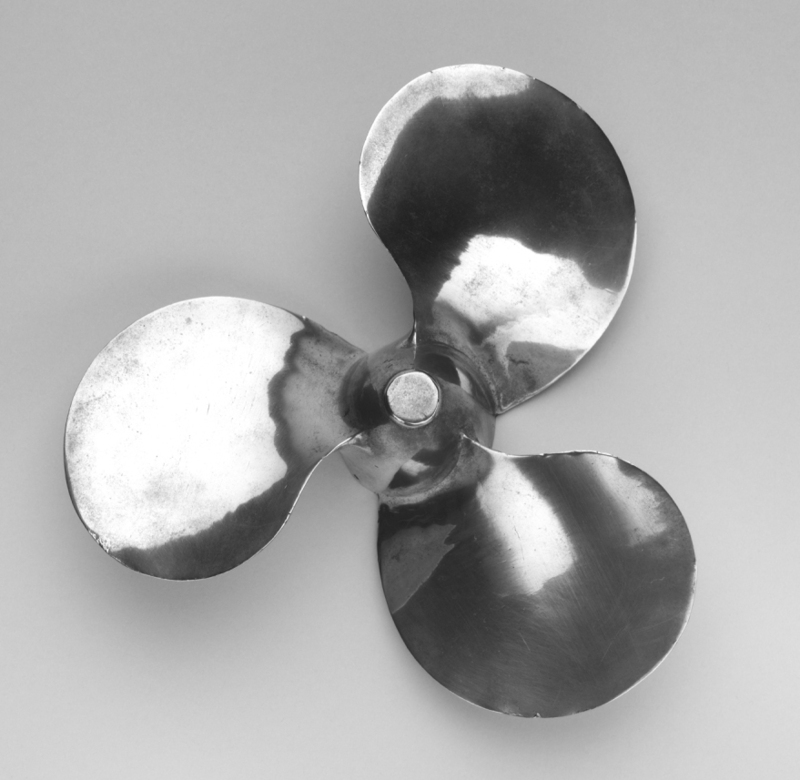 Outboard Propeller, by Aluminum Company of America was also featured in MoMA's 1934 show. 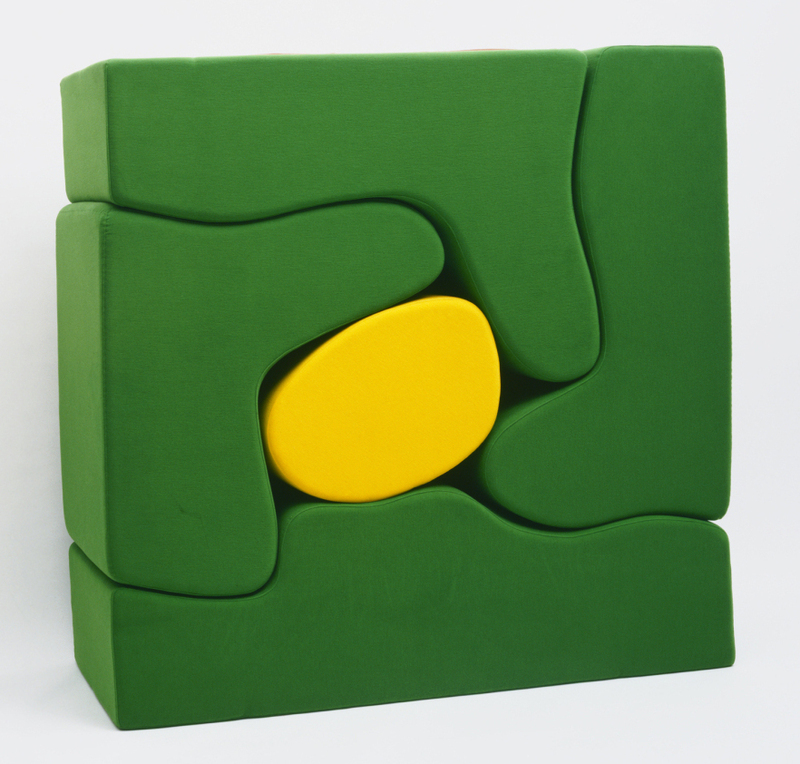 Roberto Malta's 1966 Malitte Lounge Furniture all fits neatly together. In Atlanta, visitors of all ages are coming to see the Modern By Design exhibit. The High Museum has an on-going partnership with the Manhattan museum. MoMA gets new audiences for work that may be in storage in New York, and the High gets great exhibits — they had Monet waterlilies from MoMA in 2009 — which attract visitors from all over the Southeast. Sarah Schleuning, design curator at the High Museum, says an exhibition like Modern By Design gives museum-goers some "a-ha!" moments about how they live. "I think in the end what these shows suggest is that we have a choice of what we consume, what we wear, what we surround ourselves with," Schleuning says. "There are good design choices you can make, whether they're expensive or not." If you think about it, everything around us has been designed. Someone, somewhere, has chosen that color for the sidechair ... that shape for the luggage tag ... that typeface for the bus ticket. The 150 hand-picked 20th century objects on view at the High Museum in Atlanta are examples of how to live with art, in and out of museums. Modern By Design will be on display at The High Museum of Art in Atlanta until August 21.